This was a fine theater located near the George Washington Bridge. The Lee Theater opened October 24, 1951 with Howard Keel in “Showboat”. It was operated by the B.S. Moss Theatres circuit. Seating capacity at opening was said to be provided for 1,500 in a spacious, but rather plain auditorium. There were 800 seats in the orchestra and 700 seats in the balcony. It was closed & demolished in 1973. Thanks, TC, for that great picture of the Lee. When I’d go there as a 7-year-old in 1962, it always seemed very futuristic-looking to me. The funny thing is, it still does! Thank you all! The Lee Theater an icon of my Teaneck childhood, my parents' favorite destination, most likely for the comfortable seating. Find us in the balcony, left side facing the screen, about three rows back from the rail. Always bought candy ahead at paper stand a couple of doors down (dad: goobers; mom: raisinettes). This was the “Pal Joey” era. “The Bridge on the River Kwai,” “The Joker is Wild” (all 1957) among the nights out for this lucky 8 year old. Also, Mister Roberts (1955), Ocean’s Eleven (1960), Advise and Consent (1962). Warren, do you know if Roche & Roche connected to modernist Kevin Roche? Now I am a historic preservation professional. Even teach it! Could the Lee’s sad story be why? Listed as part of B.S. 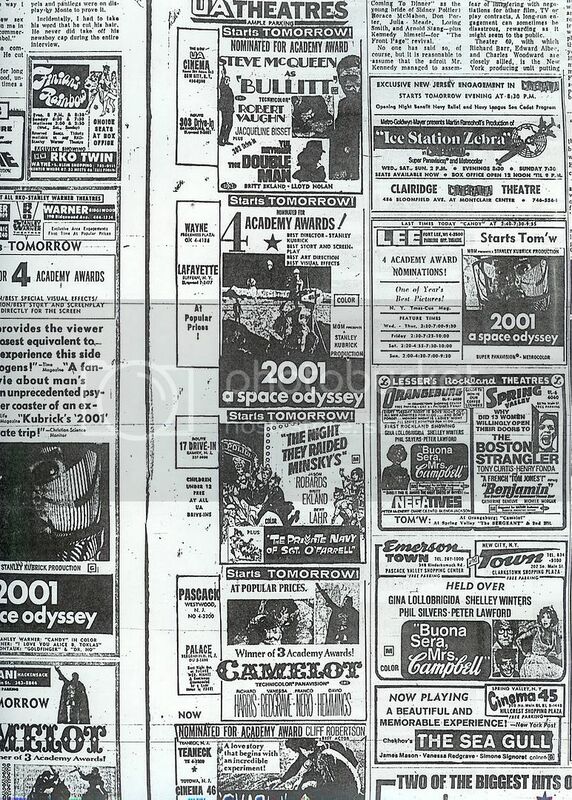 Moss Theatres in the 1970 FDY. 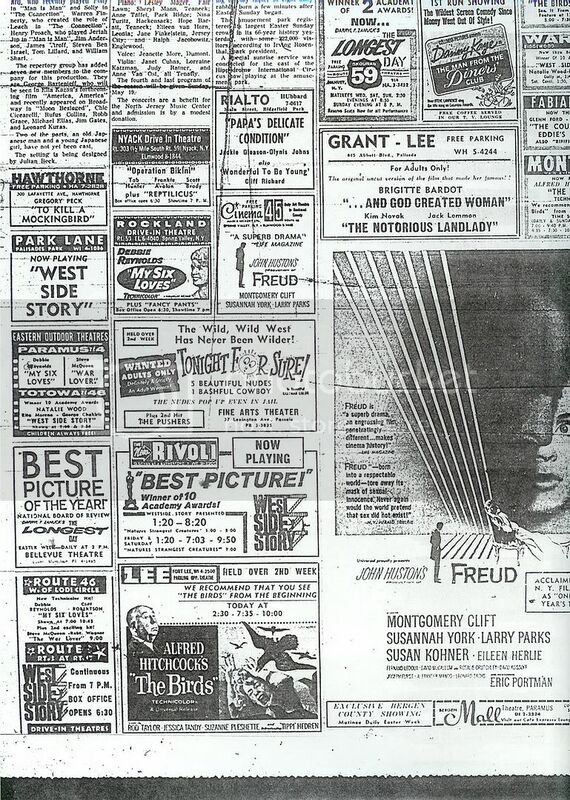 I know The Godfather played the Lee for the longest time in 1972, does anyone recall The Godfather playing at the Linwood Theater also. Touch of Mink” and “A Summer Place” A little later I saw “The Birds” and after it was over there were pigeons on Main Street and I was scared to leave the theater. In high school it seems like I went to the Oritani more often. It must have shown a more lowbrow selection. Mike: Maybe this was the day you saw “The Birds” at the Lee.